Constitution Day is a public holiday in Armenia celebrated on July 5. It commemorates the adoption of the first Constitution of Armenia in 1995. 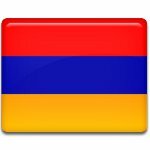 On August 23, 1990, Armenia became the first non-Baltic country to declare independence from the Soviet Union. However, it took the newly independent republic almost five years to adopt a constitution because of escalation of the Nagorno-Karabakh War. Immediately after independence, the 1978 Constitution of the Armenian Soviet Socialist Republic remained in effect. In late 1992, a draft constitution was presented. A revised version was put forward in 1993. However, in January 1994 opposition parties presented an alternative constitution. After some struggle, a constitutional referendum was held. On July 5, 1995, 70.3% of voters approved the new constitution. This event is now commemorated as Constitution Day. It is a public holiday marked with political speeches, parades, concerts and other festive events and activities. By the way, the 1995 Constitution of the Republic of Armenia is no longer in effect. In 2005, another constitutional referendum was held which resulted in the adoption of an amended constitution. The 2005 Constitution was supported by 94,5% voters.